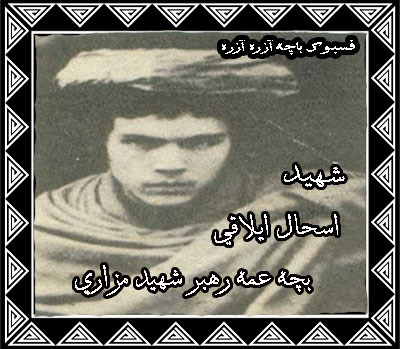 Abdul Ali Mazari was the head and co-founder of Hezbi Wahdat. Hezbi Wahdat, is a Shia’ political party that was formed from a coalition of several political parties after the Soviet withdrawal. The government of Iran is believed to have played a key role in its formation. 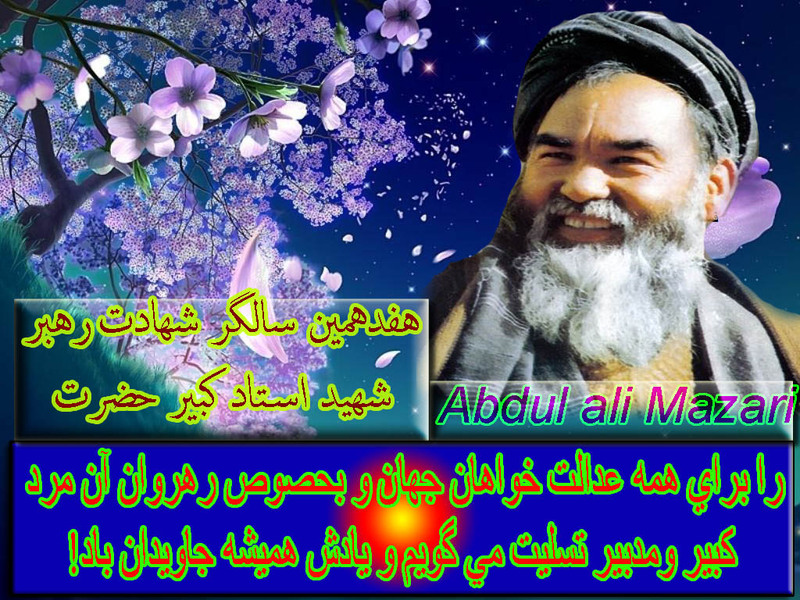 Mazari considered his organization as one of the three main groups who played a key role in defeating the communist regime lead by Dr. Najibullah.Mazari was born in 1946, in the village of Nanwai, Charkent District, Balkh Province. He studied in private religious schools in Mazar-i-Shariff, Qum (Iran), and Najaf (Iraq). 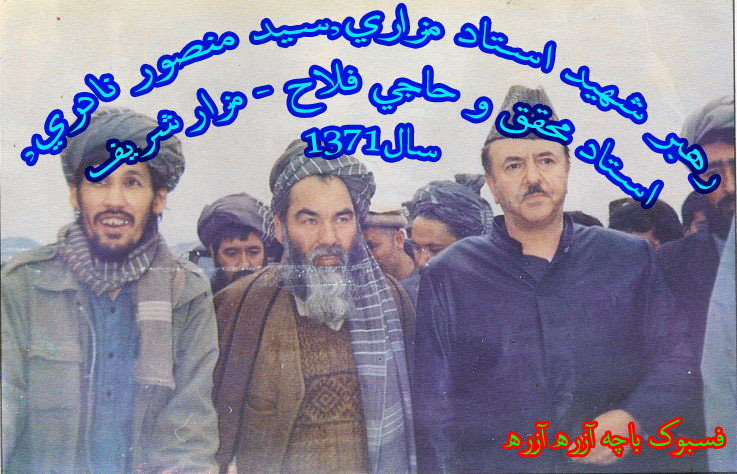 After the Soviet invasion of Afghanistan in 1979, Mazari founded the Nasr Party. 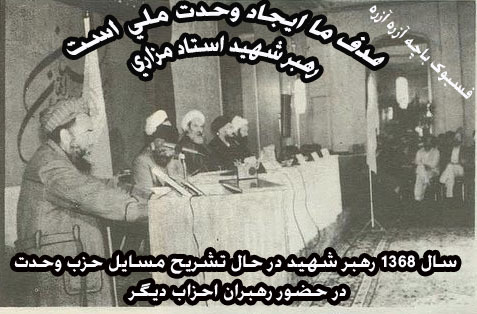 When Wahdat was formed from the merger of nine Shia’ factions, Mazari became the leader. Mazari claimed that Hazaras formed 25 percent of the population of Afghanistan, and that Hezb-i Wahdat was their representative. He demanded the one fourth of the cabinet seats be given to his party. When Burhanuddin Rabbani, President of the Islamic State of Afghanistan, refused to give the Ministry of National Security to a nominee of that party, Khuday Dad Hazar, Mazari became extremely angry and pledged to topple Rabbani’s government. Mazari who had formed an alliance with Gulbuddin Hekmatyar and Dostum against the Rabbani government, began to negotiate with the Taliban as soon as Hekmatyar retreated from Kabul. He tried hard to avoid military confrontation with the Taliban, and hoped that the war between the Taliban and the Rabbani government would provide him with an opportunity for survival. Soon, Mazari invited the Taliban to occupy the frontline positions held by his fighters. Things turned sour when the Taliban started to disarm Mazari’s men as soon they reached West Kabul. This resulted in clashes between the Taliban and followers of Mazari. Exploiting the situation, Rabbani’s forces attacked and defeated both Wahdat and the Taliban. Mazari was captured by the Taliban on March 12, and was taken to Charasyab, the Taliban base 25 kilometers south of Kabul. A Western journalist photographed Mazari with tied hands and feet. On March 13 1995, Mazari along with nine of his followers were murdered by the Taliban. The Taliban said Mazari and nine other leaders of his party were being taken to Kandahar on board a helicopter when he snatched one of his captor’s guns, and wounded the pilot of the helicopter. The plane made an emergency landing near Ghazni and in the gunbattle which followed, Mazari, nine other leaders of Wahdat, and six Taliban guards were killed. The Taliban’s version of Mazari’s death was disputed by the leaders of Wahdat. They accused Mullah Borjan, the commander of the Taliban in Charasyab, of torturing and killing Mazari. The Taliban’s behavior towards Mazari was shaped by ethnic hatred and religious prejudice. The violent death of Mazari stunned his followers and allies. His followers carried his body from Ghazni to Bamiyan on foot; from there it was flown to Mazar-i-Shariff on a helicopter for burial. Dostum, representatives of Gulbuddin Hekmatyar, and Mujahdidi attended the funeral services of Mazari. A statement issued by the Foreign Ministry of Iran called Mazari, a martyr. Foreign Minister Ali Akber Velayati condemned the killing of Mazari and blamed the Taliban for the continuation of bloodshed in Afghanistan.